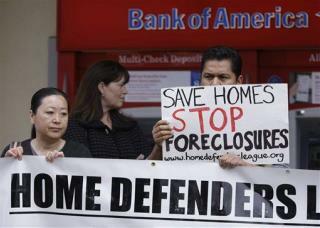 (Newser) – Given the chance to come clean on its robo-signing scandal, Bank of America instead dug in its heels and “significantly hindered” the federal investigation of its foreclosure practices, according to a HUD official. According to the official's sworn statement filed in Arizona court, BofA lawyers refused “on a number of occasions … to allow employees to answer questions.” So the government is asking a judge to let them interview former employees without BofA lawyers being present, the Wall Street Journal reports. A US corporation lied? How dare you, sir. The fine gentlemen running our corporations here in the US are nothing less than saints.